Almost ten years have passed since Julia Win came back from Burma, her father’s native country. Though she is a successful Manhattan lawyer, her private life is at a crossroads; her boyfriend has recently left her and she is, despite her wealth, unhappy with her professional life. Julia is lost and exhausted. One day, in the middle of an important business meeting, she hears a stranger’s voice in her head that causes her to leave the office without explanation. In the following days, her crisis only deepens. Not only does the female voice refuse to disappear, but it starts to ask questions Julia has been trying to avoid. Why do you live alone? To whom do you feel close? What do you want in life? 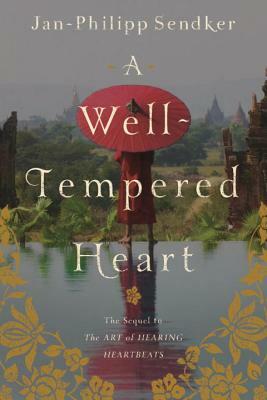 Interwoven with Julia’s story is that of a Burmese woman named Nu Nu who finds her world turned upside down when Burma goes to war and calls on her two young sons to be child soldiers. This spirited sequel, like The Art of Hearing Heartbeats, explores the most inspiring and passionate terrain: the human heart. Jan-Philipp Sendker, born in Hamburg in 1960, was the American correspondent for Stern from 1990 to 1995, and its Asian correspondent from 1995 to 1999. In 2000 he published Cracks in the Wall, a nonfiction book about China. The Art of Hearing Heartbeats, his first novel, is an international best seller. He lives in Berlin with his family. Kevin Wiliarty has a BA in German from Harvard and a PhD from the University of California, Berkeley. A native of the United States, he has also lived in Germany and Japan. He is currently an academic technician at Wesleyan University in Middletown, Connecticut, where he lives with his wife and two children.